I always appreciate a good transmog from another person. 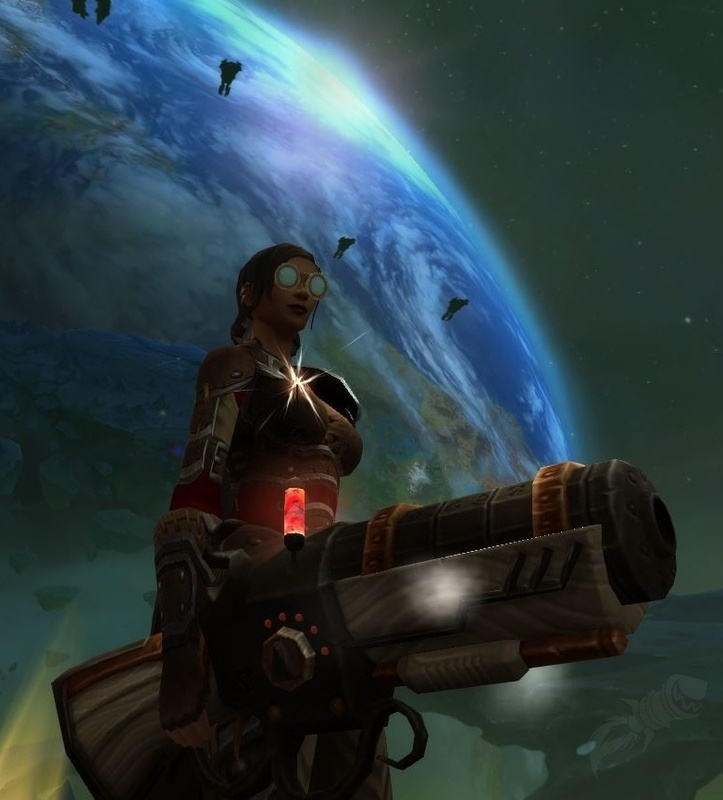 Case in point, this transmog of this character's monk..
A big thank-you to Vephriel for re-sizing this sig pic. A updated look for my version of "Huntmaster Hunter" mog..a fusion of sorts between two known sets...one from WoD, the other from Legion... with a little from Vanilla.. Location: far away from Deepholm. Tried to go for a bit more of an urban fantasy feel with my warlock. I like it, Sylvia! What staff is that? That is Greatstaff of infinite knowledge. Its one of the WoD CM gold rewards. I don't think you can get it anymore if you never got gold, but if you did get CM gold on any one of your characters then that character can go to the weapon vendor and buy a token that unlocks all the weapons for all your characters. Thanks for letting me know, it's beautiful. First my main character, while I loved her old mog I thought it was time for a change, I quite like this look. And for one of my story characters, I got the kilt I always wanted, it is a wip, I could use suggestions on a better chestpiece and shoulders. A note : I don't really like the thought of LFG or raiding which will limit the choices a tad, still .. suggestions are welcomed. Don't be afraid to go for your dreams. Reach for the moon and if you miss it reach out and grab a star. Hello all. Here's a slight update on my Gilnean/Westworld transmog. 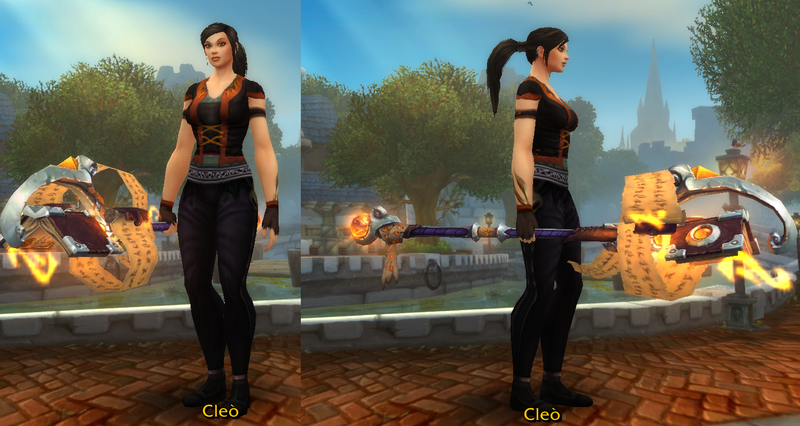 I changed the hairstyle, cloak and weapon for more of a Victorian/Gilnean look. Any feedback would help. I'm a sucker for the Gilnean set. I really wish they'd let you transmog the top hats! May remove the belt and see how it looks. I changed my mages looks .. he looks great now I think but I'm bias. Now that we are in a few weeks with Argus, I was curious to know what everyone's opinion was on these "Army of Light-type amour that have come for each class. Very cool, or too "Tron-like?" Do some classes have better versions of these than others? And if so which do you prefer? It's not my style generally, but I ran around with the hunter shoulders untransmogged for a while, as they were quite striking in the dark Argus zones. I fooled around with some other pieces as well and came up with this..
@kalasta I really like the tabard with it! 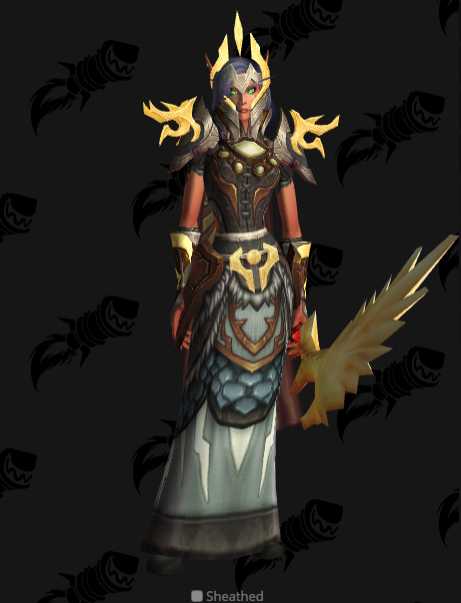 the shoulders and/or belt + tabard alone could be the basis for a bunch of sets. I like the second. I think the hood adds a great touch!